In summer it’s definitely too hot to bake but this doesn’t mean that you can’t enjoy a delicious dessert. This easy summer dessert recipe will give you the perfect light and cool ending to a meal. 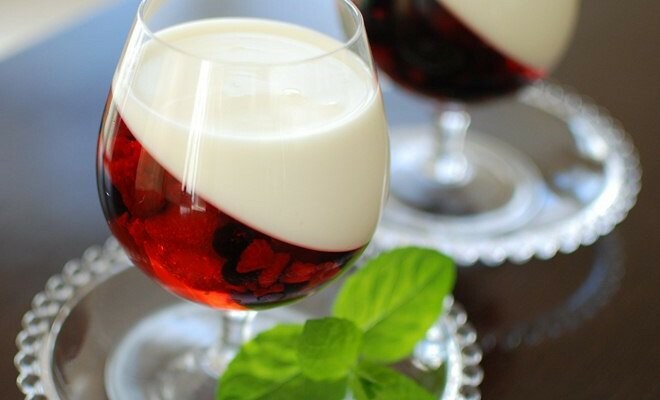 In addition, these jellies are looking really amazing with this interesting tilted effect – jelly with berries on one side and a jelly infused yogurt on the other side. 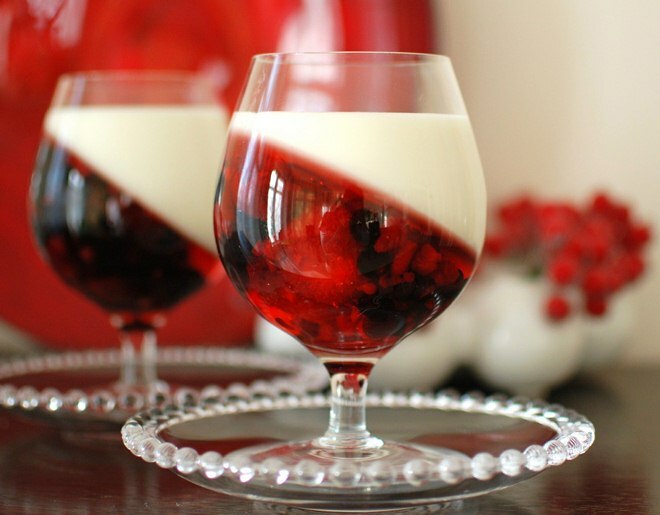 Creamy yogurt and berry jelly are such a tender combination. 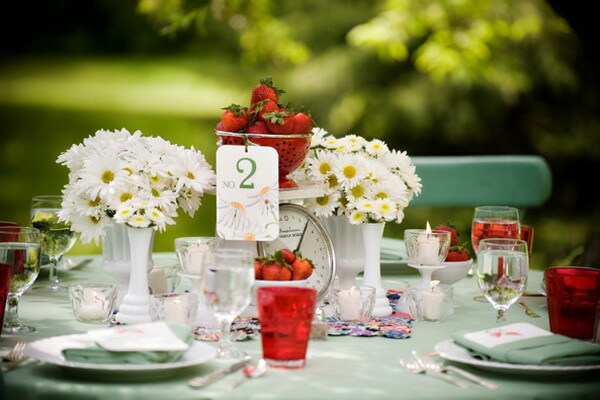 If you want really to impress your guests, you can create this interesting tilted effect. This requires only a little “engineering” skills. 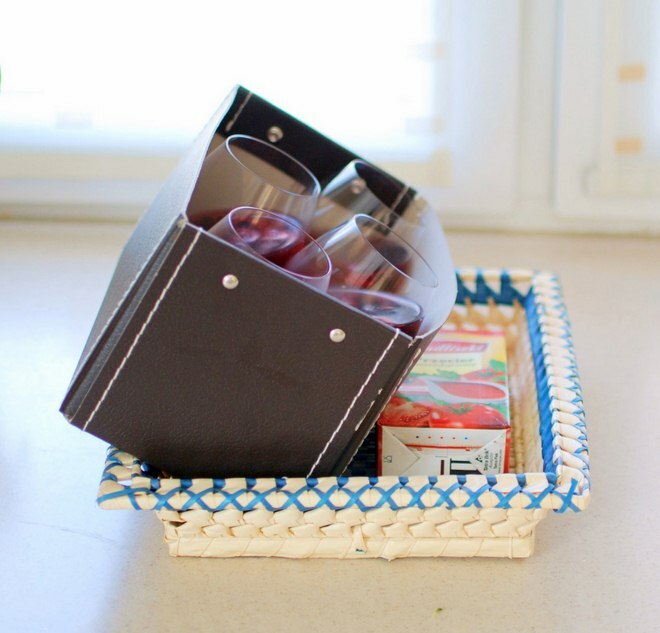 We need to place the serving glasses tilted in a container such as loaf tin or a box as pictured below. Just make sure your glasses can’t move. 1 package berry fruits: strawberries, raspberries, blueberries etc. Prepare the jelly powder in accordance with the instructions given on the package. 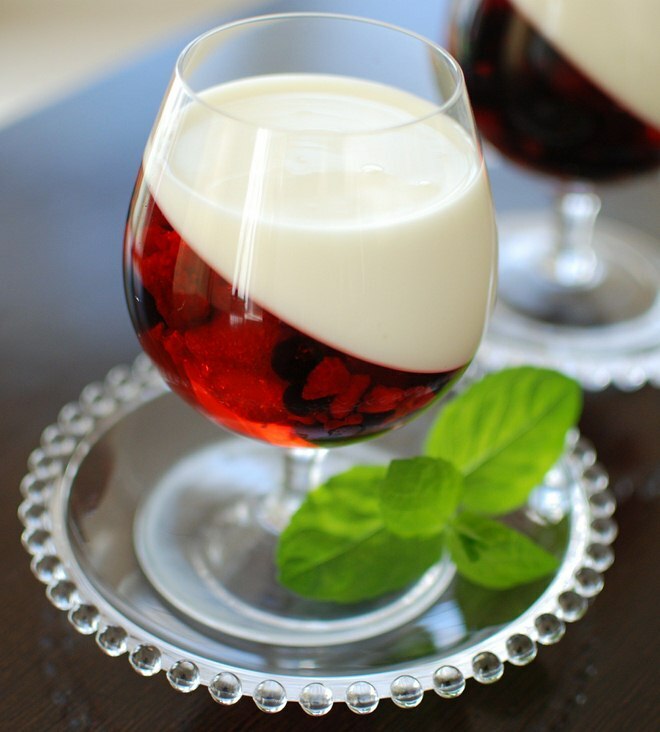 You can also make jelly from any fruit juice you want – just heat it up and mix with a suitable amount of gelatin. Allow to cool until it is lukewarm. 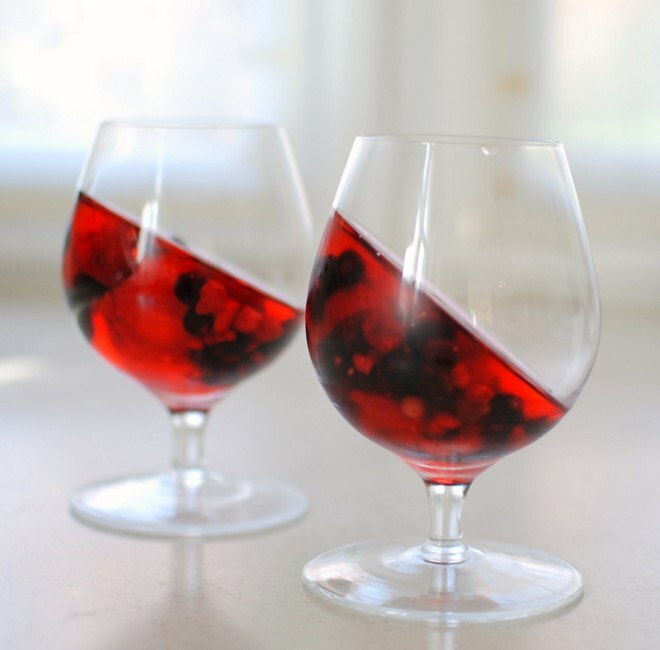 Pour the jelly in the serving glasses then add the berries. If you have time, it’s best to do it in 2 stages. First, pour 3/4 of the jelly. The chill for 5-10 minutes and then pour the rest. In this way the fruits that tend to float on the surface of the liquid jelly, will be “immobilized” entirely in jelly. Put in the fridge and let it settle until it has set completely. Prepare the jelly infused yogurt. Sprinkle powdered gelatine in 1/4 cup cold water, stir and after the gelatine has soaked up the liquid, place for 20-30 seconds in the microwave (power 600 W) to dissolve. Sweeten the yogurt to taste and add the vanilla essence. Add 1 tablespoon of yogurt into the bowl of hot, melted gelatin and stir well. Likewise, add another 3-4 tablespoons of yogurt, until all the yogurt has been added. 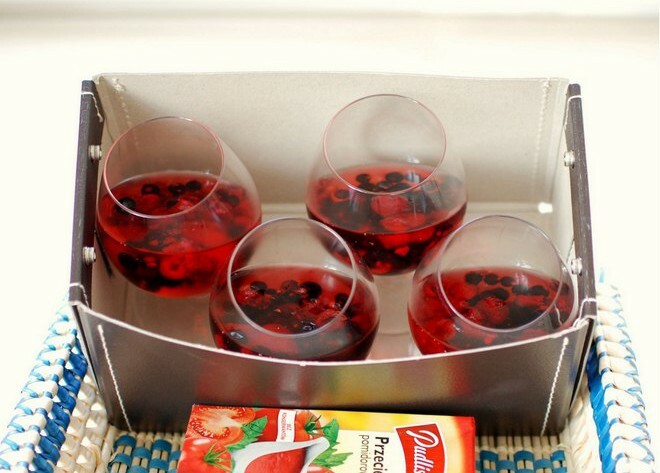 Pour yogurt jelly onto your set berry fruit jellies. Refrigerate for at least 30 minutes before serving. Decorate with a mint sprig. 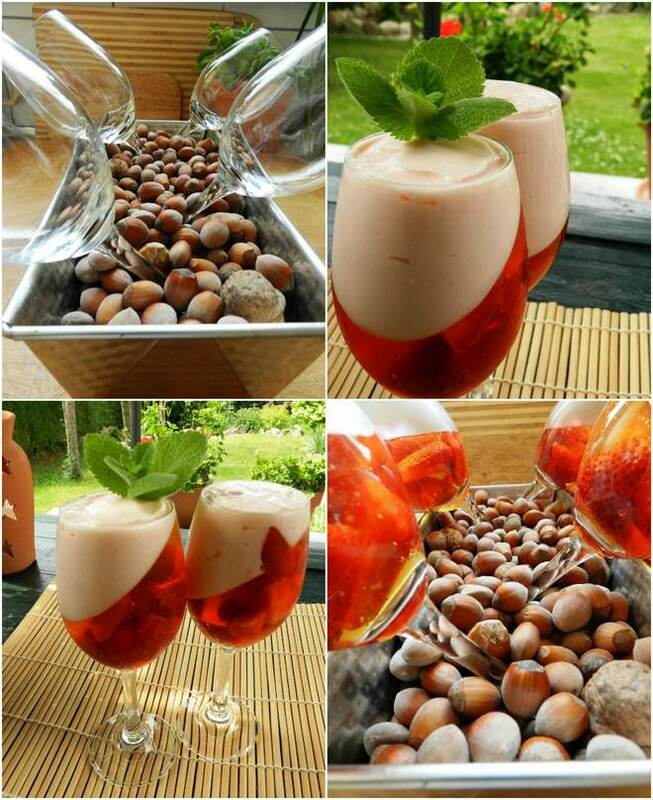 You can try this easy summer dessert recipe with different flavoured jellies, fruits and vanilla mousse instead of yogurt. Have fun experimenting! ← Previous Story Christmas cupcakes recipes – Reindeers or penguins?